Pain or discomfort -abnormal sensation such as ‘gas’, ‘indigestion’, ‘fullness’, ‘pressure’, ‘tightness’ or ‘heaviness’. Chest pain refers to pain over the chest, upper abdomen and it includes radiating pain to the upper back, throat, jaw, shoulders and arms. Chest pain is considered a serious condition as it may result in death. Chest pain does not always mean a person is suffering from a heart attack and many patients without chest pain may have a heart attack. Heart attack (Coronary heart disease or ischaemic heart diseases) occurs if there is blockage of blood flow to the heart. Other heart conditions such as heart valve diseases. Heartburn (burning sensation in the chest) due to reflux of stomach acid which irritates the upper tube of bowel (oesophagus). Pain from the abdomen may be felt over the chest. Pain from outer part of the chest such as muscle, joint and ribs. 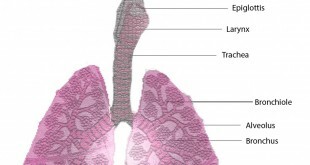 Lung diseases such as asthma. Injury to the chest wall due to fall or accident. Emotional problems such as anxiety, panic attack, depression etc. similar pain occurs before and cardiac diseases have been ruled out. Otherwise, get immediate medical advice to rule out heart diseases since urgent and aggressive treatment is life saving. When pain is due to other conditions, proper diagnosis is needed. You may need X-ray, endoscopy or lung function test. Try simple antiacid medication available for heartburn . If condition still persists, see your doctor. Have strong family history of early heart disease. The pain nature is squeezing, tightness, heavy or crushing. Heart diseases prevention- practice healthy life style such as exercise, smoking cessation, take a healthy balanced diet. How should chest pain be evaluated? When you arrive in the emergency room with chest pain, doctors can usually get to the root of your problem quite rapidly, by getting an ECG (graphic recording of your heart function) and blood test (cardiac enzymes). Remember, normal ECG does not mean you are free from heart disease especially when you are having typical symptoms.